The Research Design Service (RDS) helps individuals seeking funding for applied health and social care research. By increasing the quality and quantity of successful grant applications, the RDS makes a vital contribution to improving the health and wealth of our nation. RDS South Central is part of a national network of ten regional RDS offices. The National Institute for Health Research (NIHR) funds the Research Design Service (RDS) to provide design and methodological support to health and social care researchers across England to develop grant applications to the NIHR and other national peer-reviewed funding programmes. RDS advisers in bases across England offer a unique breadth of experience and a proven track record in improving research applications. Advice is confidential and free of charge. 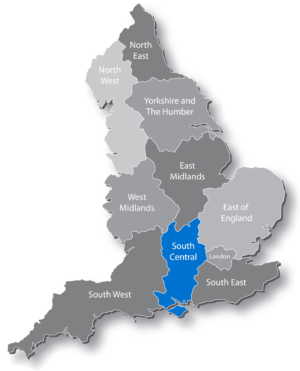 RDS South Central covers the English counties of Berkshire, Buckinghamshire, Hampshire, the Isle of Wight and Oxfordshire.